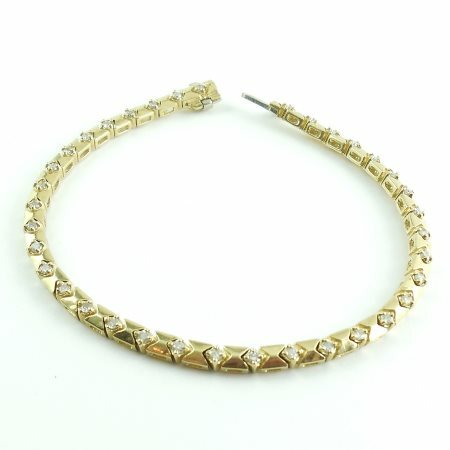 This is a gorgeous vintage 14k Yellow Gold .52 Ct Diamond Tennis Bracelet 11gr Medium Size. Quality: SI1-2 with H color. Better than average. Good sparkle and show. Beautiful on the wrist when worn. Please see photos and read full product description for more details. 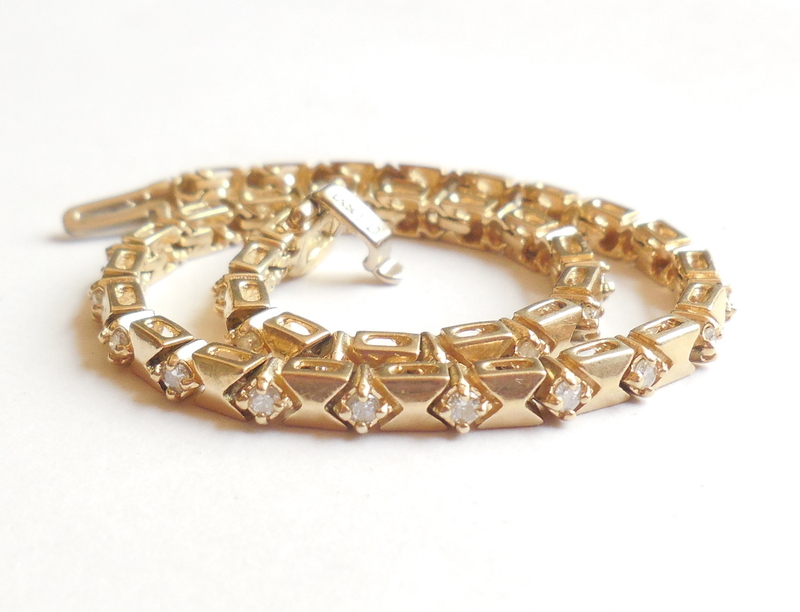 Gorgeous Vintage 14k Yellow Gold Diamond Tennis Bracelet 11gr Medium size and .52 CTS. It is marked 14K along with maker mark DD. Additionally, it has been jeweler tested and Guaranteed solid 14K yellow gold. Condition is excellent, very gently used. No damage or repair. Size is 7 1/4″ long end to end. Width is 1/8″ and depth is 1/8″. Weight is 11.1 grams. 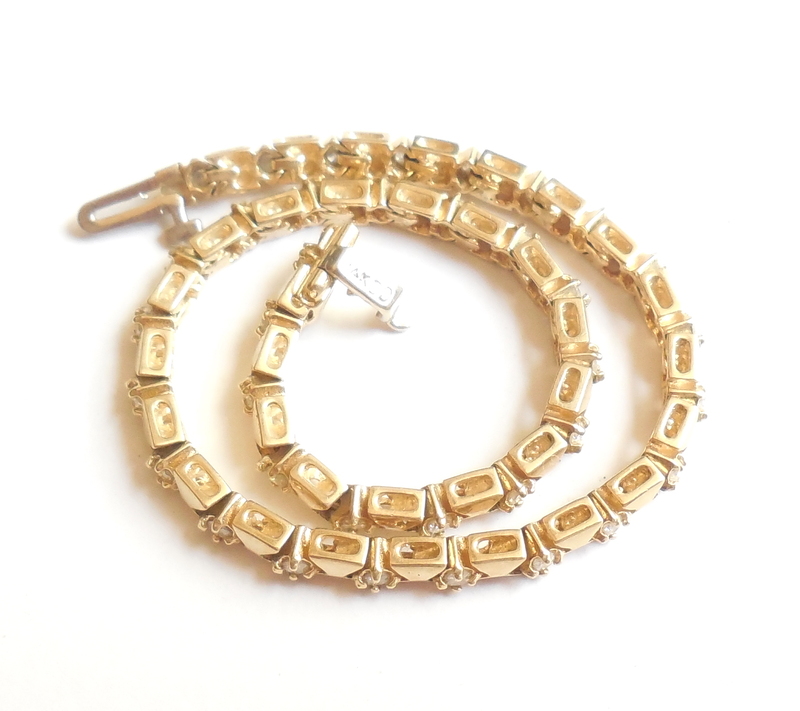 It is strong, durable and beautifully made with good thickness to the 14k gold squares. 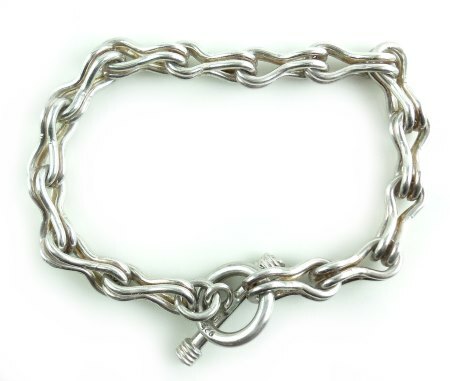 Bezels are extra deep and there is a double locking clasp. The diamonds are a better than average quality with SI1-2 clarity and H/I color. They are small with nice sparkle and look lovely in yellow gold. Beautiful on the wrist when worn. A lovely vintage, fine quality 14k Gold Diamond Tennis Bracelet for your collection. Most commonly, a tennis bracelet refers to an elegant, diamond bracelet that features diamonds set closely together in succession for the length of the bracelet. 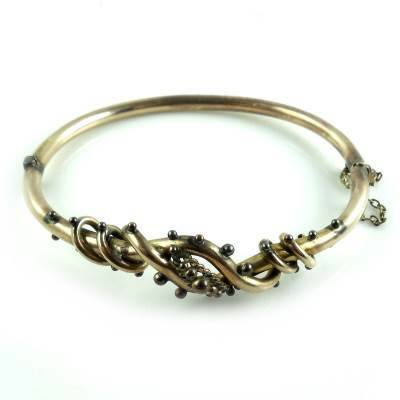 Unlike a bangle bracelet, a tennis bracelet is flexible and moves with the wearer. It is not uncommon to see the term tennis bracelet refer to a bracelet with other gemstones or diamond substitutions such as a cubic zirconia. 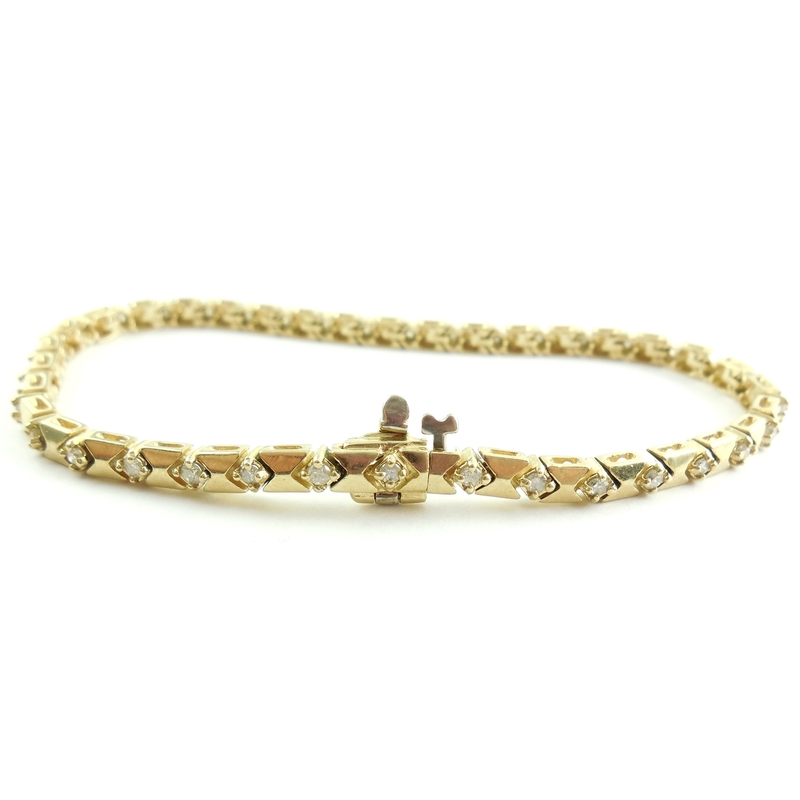 It is thought that the tennis bracelet got the name due to professional player, Chris Evert, who frequently wore this style while playing. In fact, she had a bracelet fall off during a tennis match and actually halted game play until the bracelet was safely located. 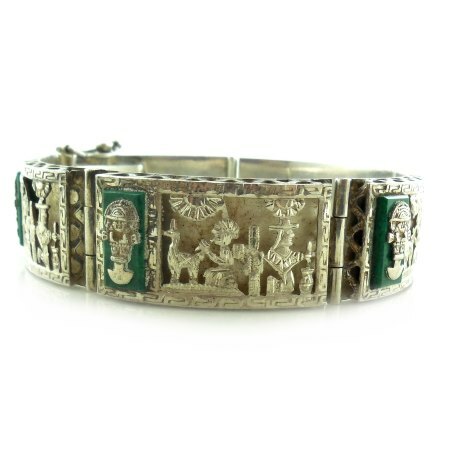 This is a gorgeous South American solid sterling silver and green stone bracelet with very fancy cultural cut work for men or women. Marked 925. The inside circumference when locked is 7". Width is just about 3/4". Weight is 42.9 grams. Condition is beautiful. No damage. No repair. Freshly polished. 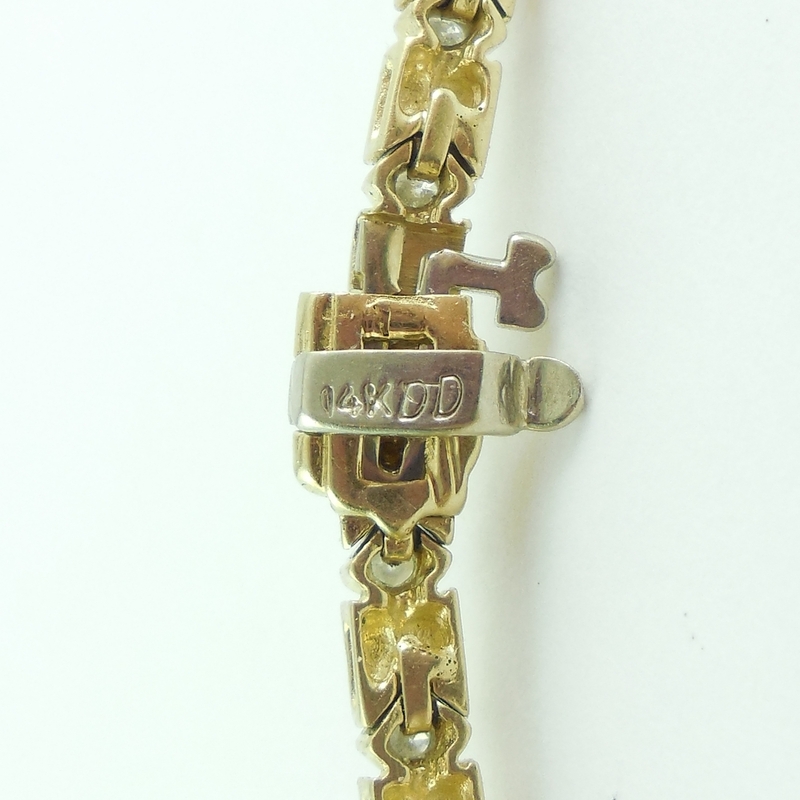 These bracelets often have dents, dings and tears to the fancy cut work but this one is exceptionally nice and clean. 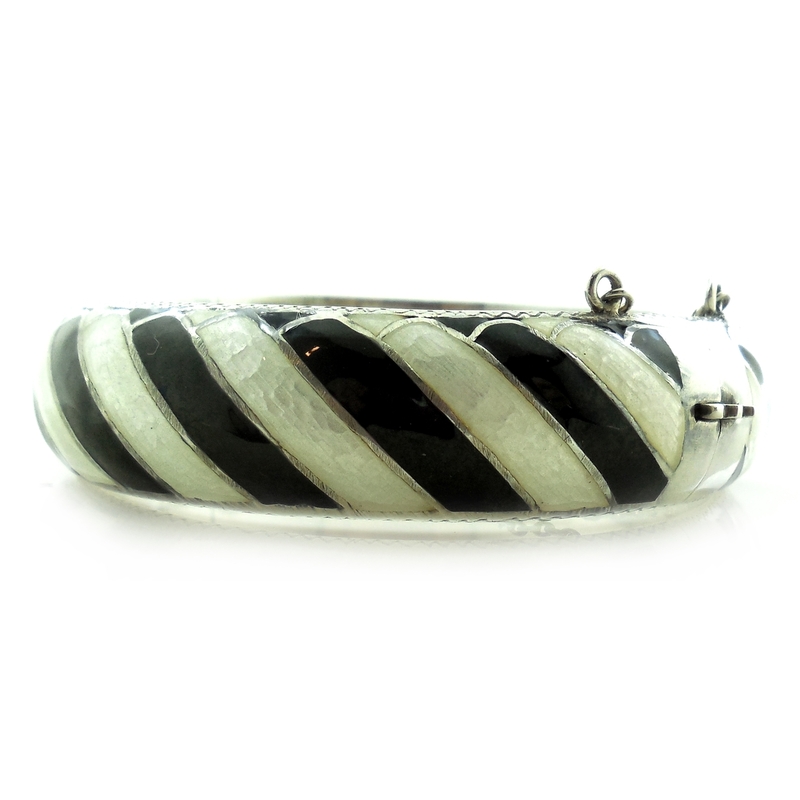 A showy statement bracelet for your sterling jewelry collection. It is very well made and highly noticeable.